Tubular ti control arms are only the beginning. Thread: Tubular ti control arms are only the beginning. What have you done, if anything, to reinforce the upper and lower mounting points for the rear shocks, now that they're load bearing? I have concerns as in stock form, the weight of the car is borne by the subframe and LCA. I remember what Ford did on the Sierras when they moved to a true coilover, and they heavily reinforced the lower mounts on the STA, and the cage was tied into the upper shock mounts. When Focus Central did a similar kit on the Mk1 Focus, they included reinforcements to the lower shock mount. Focus Central or Dennis, yes I have been around for awhile, did nothing more than address a huge weak point in the MK1 chassis of drawn steel Hubs. He over bent 90degrees a gross steel bracket which still put all the load in shear on the top side.. The new Focus ones are far superior in design. Also comparing old cars with the design criteria and structure we can now do with computers is a serious mute point. Class 10.9 bolts as used by OEM, more than we need. If wanted go to Class 12. Just an FYI, did this married coils mod on MK1 as well never had an issue. Before we think of this anymore, think of safety. A, B, and C pillar locations are stout and are never under built. So I’ve had the opportunity to drive the new married AST5300 set up. I can honestly and with confidence say these are hands down the best out of box damping profile I have ever tested. It’s literally nearly perfect. Can it be better I don’t know without drawbacks somewhere else. The noise vibration is gone , completely gone and this is with zero sound deadening anywhere in rear since I removed it for the brace install. The lower motion ratio works wonders with spring rate selection. If givin the choice again I would happily take everything I’ve done and spent cash on to this point and sell it just to buy these dampers before any mods began. Serious. Chasing my tail with rear spring rates for the divorced setup . . .
Are you any closer to a product ready for public sale? Although I was FTD at the last autox, 2nd place wasn't that far behind (0.429). The rear strut brace and RDU lower bracing look ready. I need to drop more weight if I can't add power cheaply. Please contact me with pricing when you can. Hidden Content - 2016 Focus RS - FW / RS2 / Forged - 3,181 lb of fun! Built to dominate fellow Street Mod autocrossers and the occasional drag race. Hidden Content - 1953 M35A2 Military Truck - 13,000 lb of fun! Built for parades, military rallies, deep water rescue and the occasional car show. Awesome, appreciate the input. I'm not jumping the car either. How much inboard tire clearance did you lose with springs at the shock? Also interested in the titanium parts, when they're ready for prime time. I am fitted with 18x9.5 Advan RGIII, Et45 , 265/35/18 PS4 clears with nearly 1/4 in on spring outward section. Inward is close to vertical wall, but zero rub so far with all fenders sitting at 25" with driver. I have nothing to add to the conversation cuz I'm mechanically illiterate, but I thought I was finished with the list of things I planned to do to my RS. It was already more than the price of the car but now you've done it. Now I can finally keep adding things to my list. @Shimmer this is all your fault and don't you ever stop not stopping. Happy to support a fellow SoCal RS obsessed owner. Call me basic but above all else, I'm excited to see your splitter/skid plate. You had me at carbon NACA ducts. I’ll buy ya a beer. DeanHart and NVMarkus like this. Zack buying us beers at BBOR next year in Texas. Since your going and so am I let’s do this. 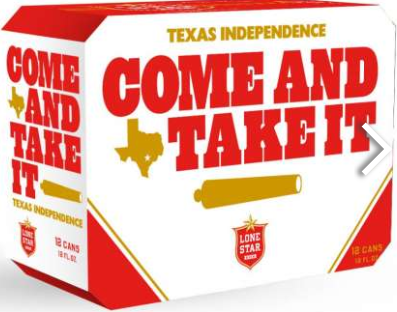 All the Lone Star you can drink.